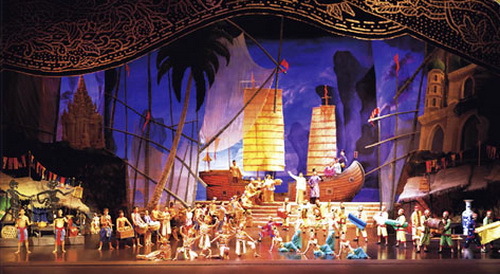 the west, Laos in the north and north-east, Cambodia and the Gulf of Thailand in the east, and Malaysia in the south. The shape of the country is similar to the profile of an elephant with a long trunk stretching down the peninsular. At school, students are taught that their country resembles the shape of an ancient axe with the peninsular being the handle. For example, instead of shaking hands when greeting one anothers, Thais generally greets in a prayer-like gesture called a wai by pressing the palms together. Generally, a younger person initiates the greeting with a wai, and the elder one would return the gesture. Thailand enjoys a tropical climate with 3 distinct seasons - summer from March through May, rainy with plenty of sunshine from June to September and cool from October through February. 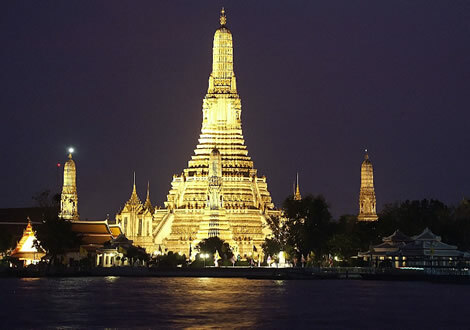 The average annual temperature is 28 C (83 F), ranging, in Bangkok, for example, from 30 C in April to 25 C in December. 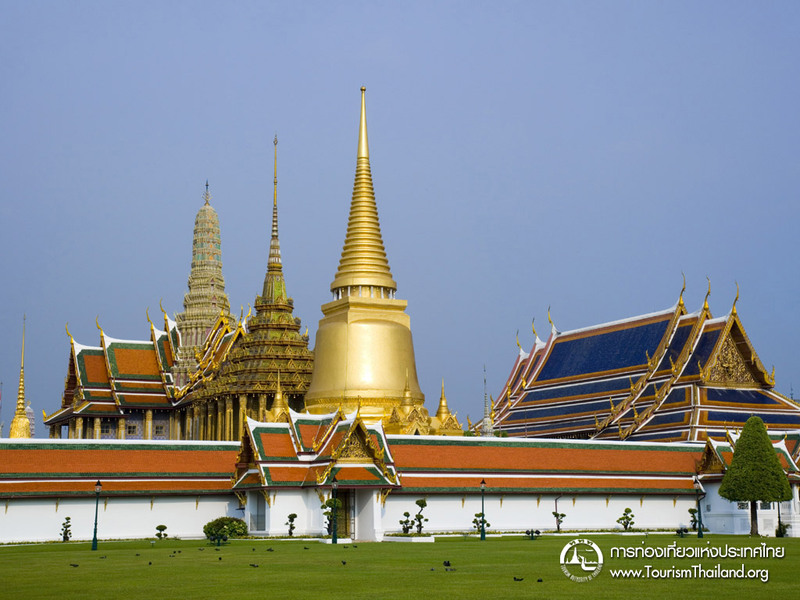 The Royal Grand Palace, with its collection of pavilions, gilded chedits and golden spires can only be described as an Oriental masterpiece. Inside the Royal Chapel is the Emerald Buddha, which has been carved from a solid piece of jade. This half-day also includes a visit to a loval Gems Factory. Ayuthaya, the ancient capital of Siam was said to have been one of the most beautiful cities in the world. 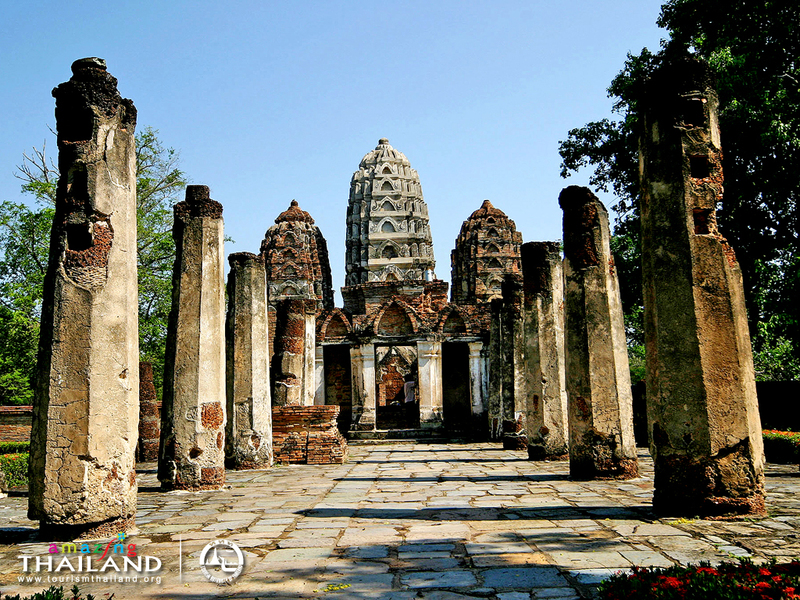 Here you will see ruins of over 400 stone temples and Buddhist statues. At the Summer Palace at Bang Pa-In see the mixture of Thai, Chinese and Gothic architecture. A leisurely cruise takes you back to Bangkok. 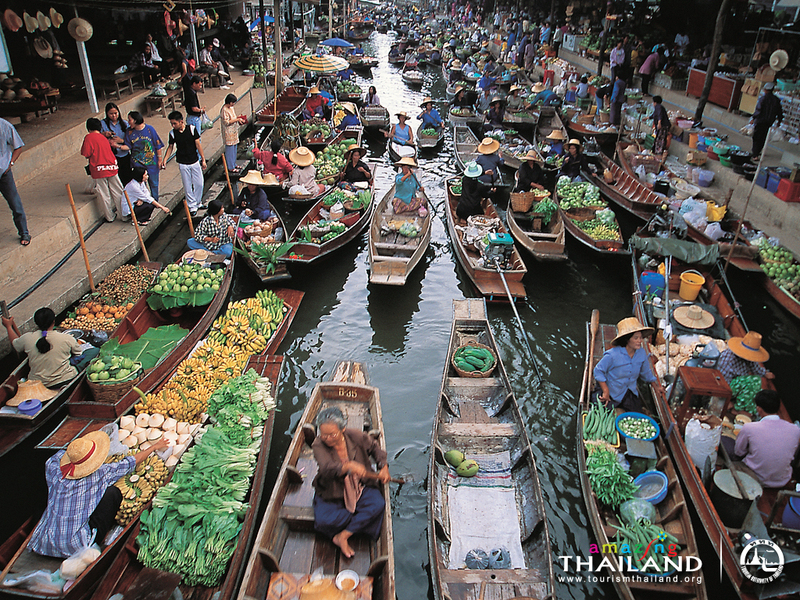 All the famous “Damnoen Saduak” Floating Market see hundreds of wooden boats full fruit, vegetables and spices. 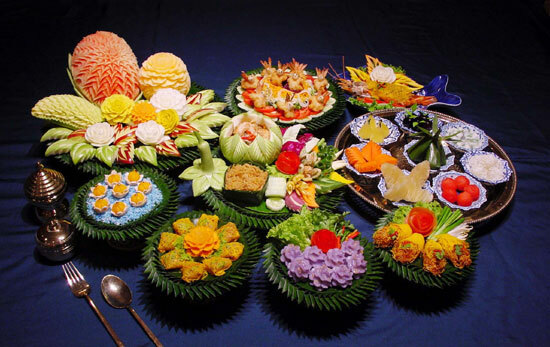 At the rose Garden enjoy a buffet lunch and a cultural show including classical dancing, Thai boxing and a traditional wedding. Watch the elephant show and even have the chance to ride one. 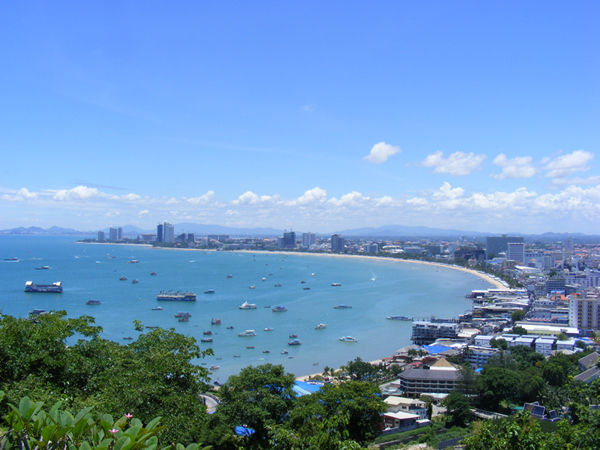 Located in the Gulf of Thailand, Pattaya has become one of Thailand's most famous beach destinations. The nearby "Coral Island" is a short boat ride away, where you can enjoy your time swimming, sunbathing or snorkeling in the crystal clear waters.